SolarMeter - GPS solar measure. Solar energy or solar panel output estimation at your current location. 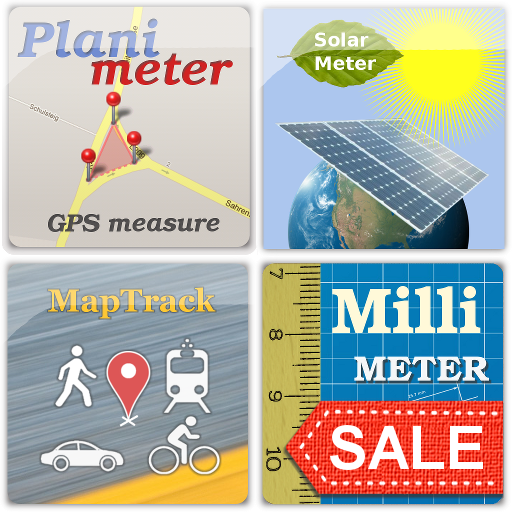 SolarMeter - GPS Solar Measure is Android solar energy analyzer tool that allows you to calculate and estimate solar power and energy output of a solar cell panel at specific location. SolarMeter helps you to check solar potential of your roof, how much solar power you are getting at your location throughout the year and to estimate how much energy a photo-voltaic system can generate per month. Bill and Saving estimation based on user input (energy monthly or annual consumption). * Note: These apps need to be installed to be able to use them for measurements. 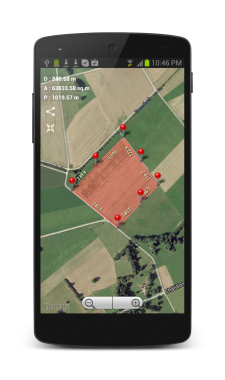 Planimeter - GPS Area Measure for iOS. How to manage files. Save and Open previously saved measurements. 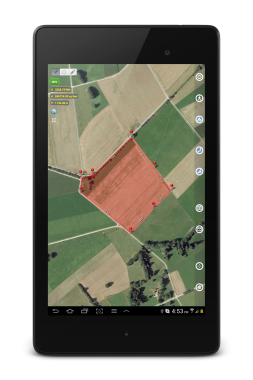 This video demonstrates how to manage your measurements using Save and Open features in recently released Planimeter - GPS Area Measure app on iOS. 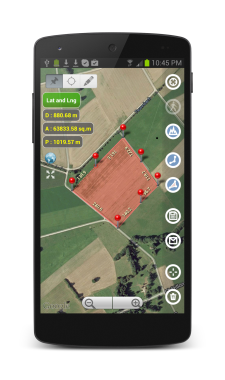 Planimeter - GPS Area Measure is our mobile application for different land measurements on maps using Geo-coordinates, Satellite view with manual touch or GPS tracking. The app can be applied in such areas as farming, road building and repairing, construction and planning, solar panel installation, real estate business, hiking and travel and many others. In this video we want to show you how o measure radius, length and area of a circle and find its center using the Circle Measurement Mode in Partometer App on iOS. Distinctive feature of the mode that it's possible to measure a partially visible circle. Partometer is a camera tool for measurements on pictures / photos. The app is available on both platforms iOS and Android. Circle Measurements on photos using Partometer App for iOS. New Circle Mode has been added to Partometer app on iOS with the update v1.2.0. Circle Radius, Length and Area can be measured using the new mode. Special 3-point ruler allows users to mark and measure even partially visible circles. Also it helps to find the center of a circle. Millimeter Pro - screen ruler for Android and iOS. Millimeter Pro for Android and iOS is a small handy ruler on screen of your device. You can measure small objects on the screen: dimensions, area, angle, split linear and circular object in equal pieces. Millimeter Pro can be used as a thread gauge to measure TPI or thread pitch. 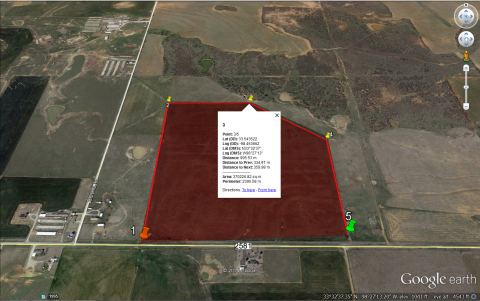 "Planimeter - GPS Area Measure" Update v.3.7.4: KML Export to Google Earth improved with DMS Format fix. 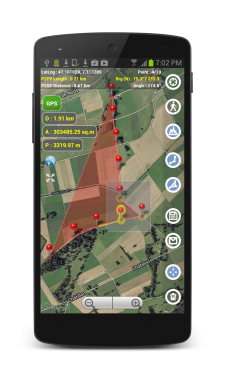 "Planimeter - GPS area measure" app for Android has been updated with a fix for Geo-coordinates format recorded in KML file. Now when clicking on a pin in Planimeter KML file ( imported into Google Earth or Google Maps), you can see correct DMS coordinates of a point along with related measurement information. Our Pupil Distance Meter (PDM) app is currently available on both platforms Android and iOS. Though these two apps are named the same they use different methods for PD calculation. We have listened to feedback from Android users and have updated the app webpage with guide and tips how to improve measurements accuracy. The method used in the Android version is sensitive to measurement conditions and requires proper head and reference position and very accurate rulers adjustment. Although the app does image processing and quick automatic measurements, sometimes it is necessary to correct rulers position manually. However the app users tend to use the PDM without browsing the guide and following important tips. For such app lack of attention to the details usually causes misunderstanding of the measurement procedure and inaccuracy in calculations. Based on Android experience we have come up with a new idea for the PD measurement and decided to implement it on iOS platform first. 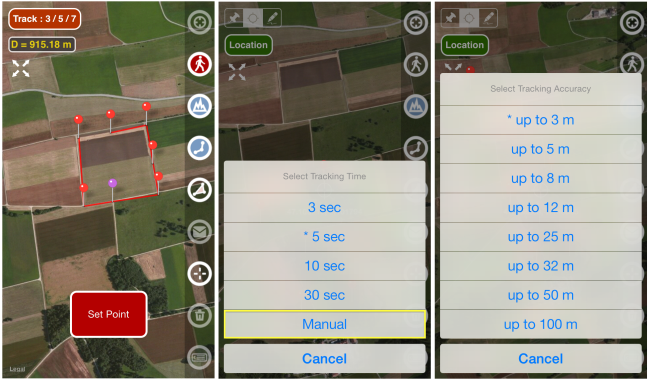 The main goal of the iOS version of the app is to test a new approach, to improve accuracy and consistency of measurement results and app usability in general. 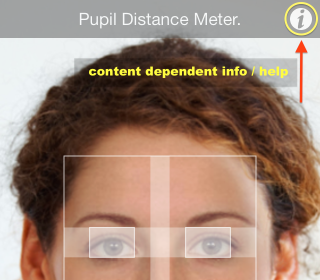 First version of the iOS app offers manual measurements and requires two different pictures of a face for accurate PD calculations. Although we have tried to automate the process of taking pictures, pupils and a reference have to be accurately marked on both pictures manually. Working with two pictures might take more time for a measurement session but it improves accuracy of the results. Users are still required to follow the instructions and put some effort into learning the measurement procedure, but it is common for such apps and as soon as they are familiar with the app good results can be achieved. As we expected the new method appears to be quite accurate and not so sensitive to the measurement conditions but still is very sensitive to accurate rulers alignment on both pictures. 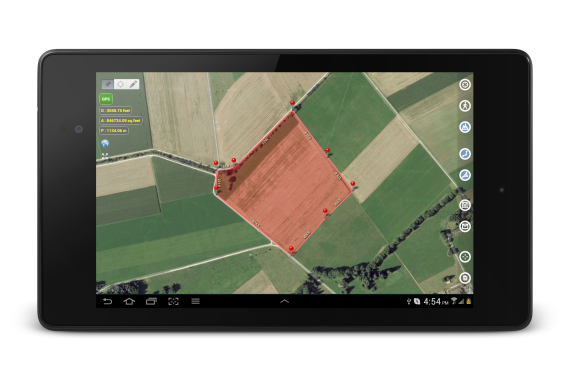 Simulation and accuracy test results are presented on the app webpage where you can compare it with usual ruler measurements. Based on our tests Pupil Distance Meter app for iOS returns more accurate and repeatable results compared to other apps on the market for this purpose. It also shows big improvement compared to our Android version of the app. We plan to update the Android version of the app with the new method currently used in the iOS version. Any feedback or suggestions are welcome. 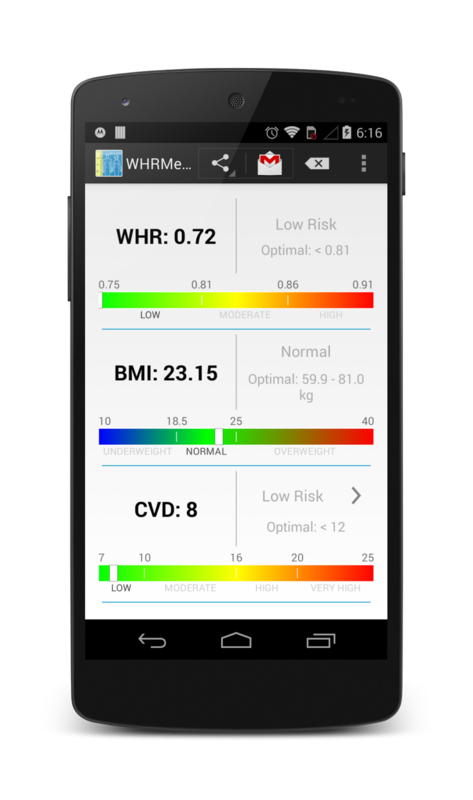 WHRMeter is an Android app that calculates Waist To Height Ratio (WHR) and health risk based on it, Body Mass Index (BMI) and estimates Cardiovascular Disease Risk (CVD). Using Body Mass Index you can check your optimal weight for given height. The app is FREE and does not contain any permissions or pop-up ads. Planimeter - all kinds of measurements on Google Maps: area, distance, perimeter, bearing, geo-coordinates.